Last year we launched the first story in the Unseen Shadows webcomic entitled ‘Bob Kelsey Investigates’ featuring our cynical reporter Bob Kelsey and his mis-adventures through the shadowy world of the occult and the supernatural. The first story entitled Neck on the Line is still available to read online here. Soon after ‘Neck on the Line’ story went live another two scripts went into development the first of which will be hitting the website next week. ‘The Return’ is written by Dan Thompson with art and lettering by Jake Rowlingson. 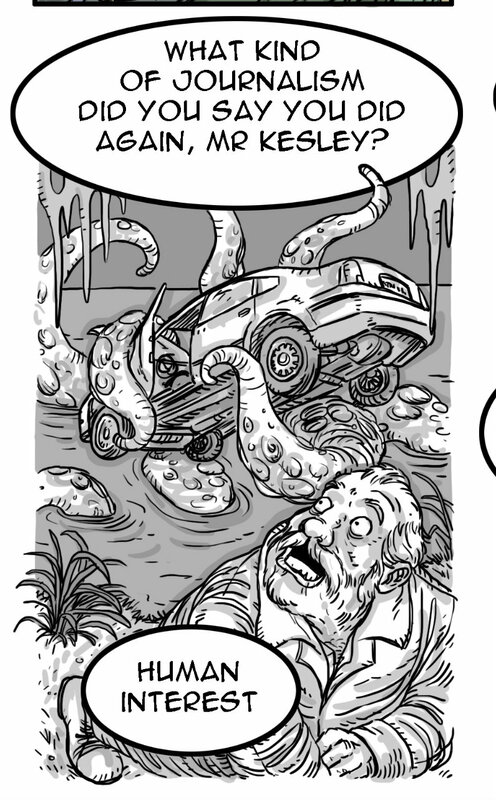 In this one page story we see Bob Kelsey, who has faced all manner of dangers both human and otherwise, now facing possibly his greatest adversary to date. You will be able to check out the story here for free next week. 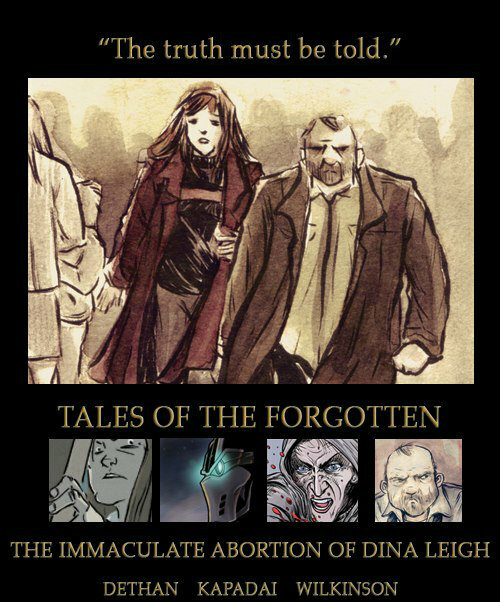 If, in the mean time, you would check out Bob’s other adventures you can of course read ‘Neck on the Line’ or The Immaculate Abortion of Dina Leigh which you can pick up on it’s own from Comicsy (Digital Download) and Amazon (Kindle) or as part of the Tales of the Forgotten Anthology also available from Comicsy and Amazon. To read Bob’s very first appearance there is of course the novel Fallen Heroes, where it all started.